This takes place in a futuristic setting, in which the earth is now barren and polluted after a final war. The average life of humans are now halved of what it was before, as the heavy pollution causes a certain disease. A young man living in the slums, Sud (CV: Ishikawa Kaito), encounters a mysterious runaway, Atharva (CV: Terashima Takuma). The latter shares the story of a young girl called Eve. Our heroine Eve has lived in a huge underground shelter, Neo Sphere, with its AI robot, Cradle (CV: Kakihara Tetsuya) for the past 3000 years. She is part of the ancient civilisation, and her body possesses a certain taboo power. Knowing that she may be the key to purifying the pollution on ground, Sud accompanies Atharva to find Eve. But not long after they find her, they are under attack from the army. In that critical moment, a humanoid weapon, known as Tierblade, suddenly shows up before them. The above is the synopsis from the website. 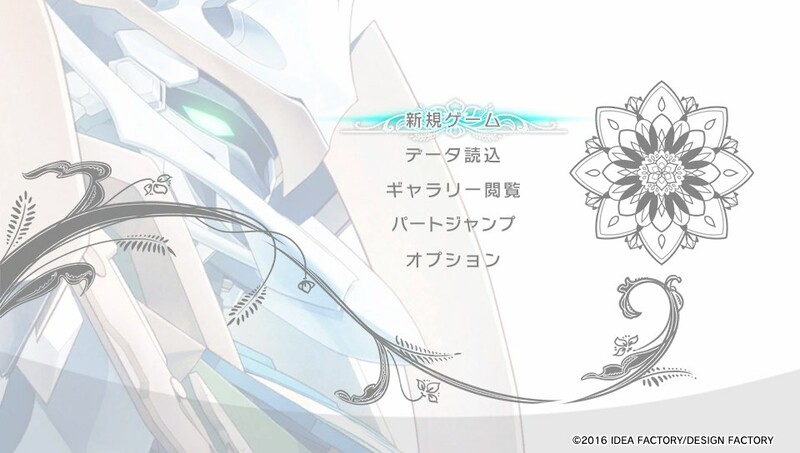 As for the other main characters…there is Row (CV: Matsuoka Yoshitsugu), who is leading the army side and is deeply obsessed with Eve for some reason. As well as Yajur (CV: Kondou Takashi), whom was found by Eve and the rest lying in a recovery pod, and they decided to revive him. However, he has no recollection of his past life. I was recommended to play in the order of: Atharva or Sud, Yajur, Cradle, Row, True End. I felt that this was a good order, to learn more about the past and overarching story. Honestly, this was an interesting futuristic setting and I certainly enjoyed learning about the overarching story. However, I think this title suffers from two main issues. First, all the routes mostly follow the same sequence of events (similar to Snow Bound Land). I feel that this wouldn’t have bothered me as much, if I was given the option to just skip the repeating chapters. I am aware that only Yajur’s route has additional scenes in the repeating chapters I am referring to. But otherwise, it is the same for every route…and that adds up to 6 routes! Certain events are also the same, except that the “main” character changes depending on whose route you are on. These includes the battle scenes, which can get rather draggy. Again, perhaps an option to skip the scene may help for players who feel similarly to me. The second issue is that the problems are usually all solved with the same plot device. Once you learn of this, it lessens the conflict and tension you experience in latter routes. Because you know that this plot device will save the day anyway. Also, I really mean all sorts of problems. I’m the type who tends to process the how and why, so at the start I was quite put off by how convenient this plot device was. So if you want to enjoy this game, my advice is to just accept that this is how things work. Don’t question how and why. The game does introduce a lot of different terms, explanations and worldviews. So it might be a bit overwhelming during the first playthrough. Seeing how they made this attempt to introduce all of these elements into the story, it would’ve been nicer if the game expanded on it to discuss the potential themes. I’m trying to avoid any spoilers but if I were to list a couple of general themes……how much you are willing to sacrifice for scientific progress? What is considered “human”? You know, I would be fine with even some discussion. But because of the second issue that I’d previously mentioned, such potential themes were all swept under the rug. Each route has a tragic and happy end (except Cradle’s). Oh and Yajur’s has two bad ends. I actually enjoyed the tragic ends more because…that’s just me haha. With how convenient everything went, the tragic ends kind of became more fitting to me? Not that I don’t like a happy end! Of course, I can accept a miracle or two. I enjoyed the interactions between the characters, and I think that it is good that each individual route reveals the (surprising) pasts of the guys. However, I felt that there wasn’t enough character interaction for me to believe that this group of people would start risking their lives for each other right off the bat. Everything takes place really quickly so again, it would’ve been nicer if the game expanded on this area. 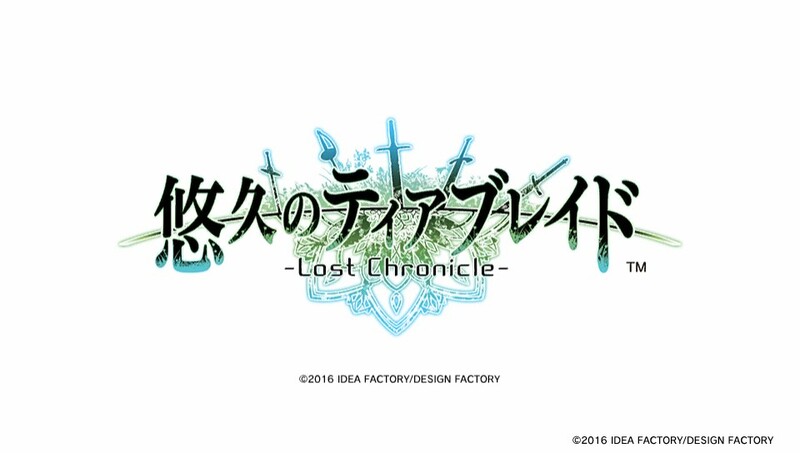 Unlike others who complain that common routes in titles like Clock Zero or Code:Realize are so long, I found them necessary to make me grow attached to the characters and their relationships. So I guess this is why I don’t feel as attached to the characters in this game. Which frankly, is surprising even for myself. Because I like a good tragedy-vs-happy balance kind of otome game. Then again, because of how fast everything progresses, it can also keep you glued to the game. Hmm. However, I must highlight that actually, the writers did attempt to make things more interesting, at least on the second and third playthroughs. On my second run (Sud), a certain common scene will have additional dialogue. On my third run (Yajur), an entire scene was added in the common route. These scenes were actually fun to read, and I wished that they had also done this for the remaining routes. It would help players feel engaged, while going through the common route once more. 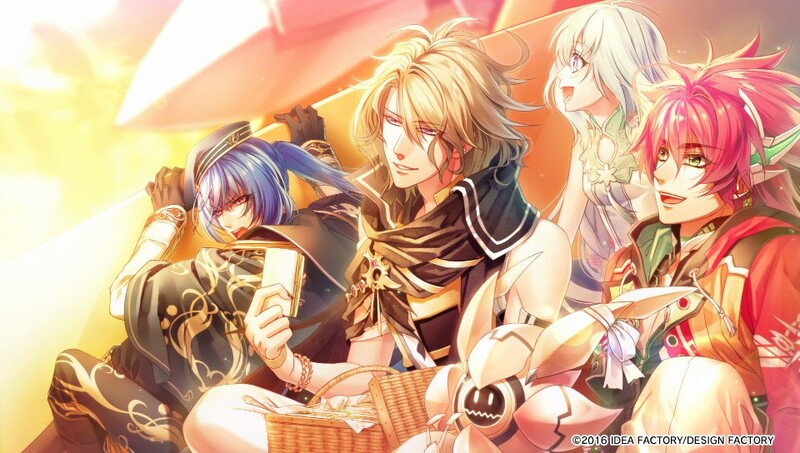 For the individual routes, the romance may come off as quite abrupt (except Row’s) due to how fast the story progresses. I found that the relationship development between Eve and Yajur in Yajur’s route a bit forced. For some, they may feel that his route had more romance. But it just didn’t quite convince me. As for Atharva’s route, I felt that more could have been done to smooth out how he overcomes his core complex – which would in turn make the romance more convincing. 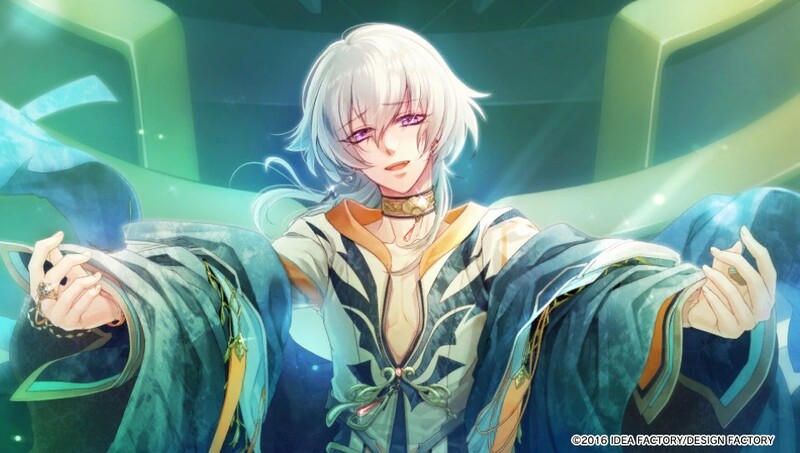 Cradle’s route is clearly more fanservice, with everything being accepted so naturally and the AI also having a young/adult appearance. Also, his voice remains the same in the common scenes (I suppose so that Kakihara wouldn’t have to record his lines once more, in a different tone). Yet you can hear that Kakihara does differentiate his voice in the individual epilogues. Row’s route was good in terms of explaining the backstory. But it was lacking the vibrant character interaction which other routes had. Therefore in that sense, I felt that he got the short end of the stick. I heard that people did not see the revelation in the True End coming. Personally, I kind of did? So I guess it did not surprise me as much. So having said all that, I guess you could say that overall, I liked Sud’s route the most. The romance is rushed as well. But certain canon events also always happen to him and it does add to the development, so I will let it slide. Unfortunately, I see that he isn’t as appreciated compared to the other main characters. There are many side characters as well, and actually they all more or less played a significant role in the overarching plot. Sadly, we don’t really learn much about them. I could not understand the antagonist’s point of view either, and the “discussion” between the antagonist and the heroine made little sense to me. I will flat-out say that the graphics are gorgeous. Not only the CGs, but also the background art and even Tierblade. 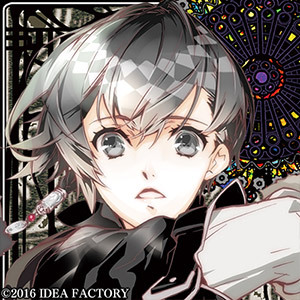 I feel that the background art is done by the same artist who drew for Code:Realize – can anyone confirm this? 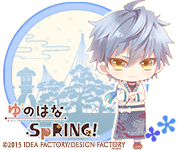 As for the sprite/CG art, it is actually done by two artists but the styles blend really well. Moreover, the sprites have eye and mouth animation. I wonder why this isn’t incorporated more often. The interface was actually different from the usual Otomate UI design! Which was a pleasant surprise. It was very clean and appealing to the eye. 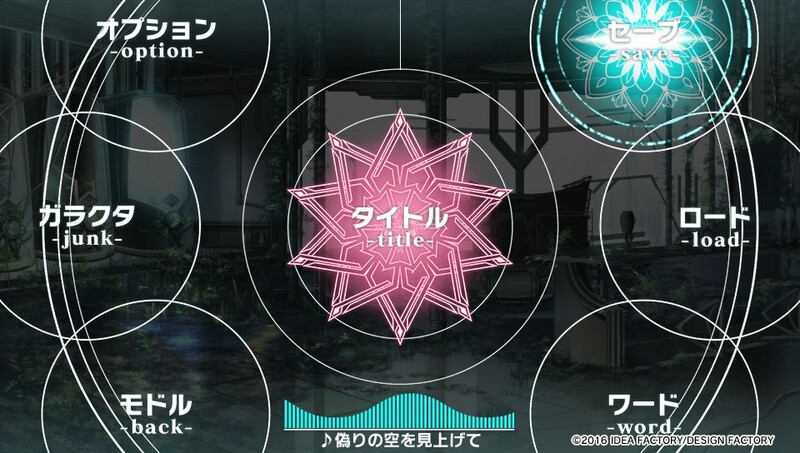 The music is by MANYO, so those familiar with Amnesia or Clock Zero would know what to expect already. The OP and ED is really beautiful, and I personally like the default title screen BGM track a lot. Sometimes when you start up the game, certain sad scenes will briefly flash past to paint the tragic mood. I liked that touch! As for the cast, I was happy to hear Terashima again! I could tell that Ishikawa really enjoyed those battle scenes (he was so into it, haha) and Kakihara’s Cradle was so cute to tease. Once again, I had a hard time registering that Kondou was Yajur’s CV (in a good way). Once again, Matsuoka has the suffering character and had to challenge his limits……seriously, his roles always make me respect him all over again. There are several parts to the system. 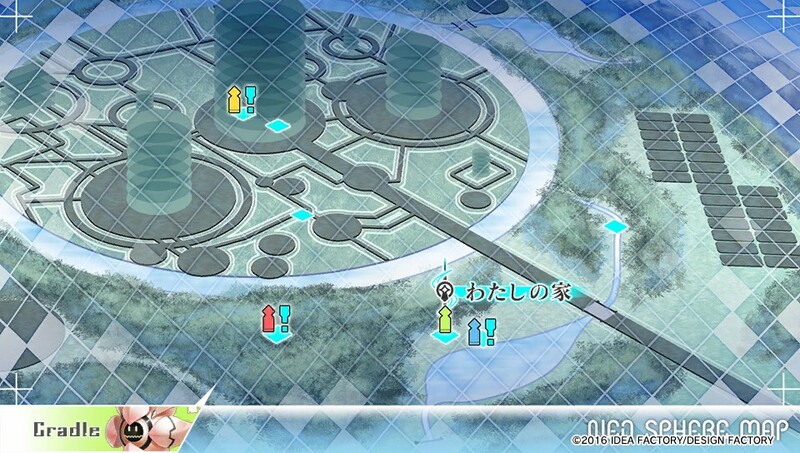 Besides the choice system, there is also a map system within Neo Sphere. You just go to the area with the character whose route you are on. That is straightforward enough. Otherwise, you should also visit the areas with a “?” so as to collect junk. Okay, not literally junk. But they are actually audio recordings belonging to certain side characters. To be honest, I didn’t have the patience to listen to every one of them……there were like 6-8 recordings for each of the 3 characters. I wouldn’t have minded if they divided it up between more of the side characters. At least we get to hear from more of them. Because these junk appear randomly in the map areas, I didn’t want to miss out on any of them and would restart the game from the beginning for every route. ;;; You will need passwords in order to listen to them, which will be retrieved after you finish Atharva, Sud and Yajur’s routes respectively. Despite my various complaints, overall this was still a positive experience for me. The overarching story was interesting, and the characters were likeable. As mentioned, the art and music were certainly the strong points. It is just that Yuukyuu no Tierblade had the potential to be better, which is a pity. So if you plan to play this game, just remind yourself not to expect a deep explanation and to just enjoy the flow and whatever it has to offer you. 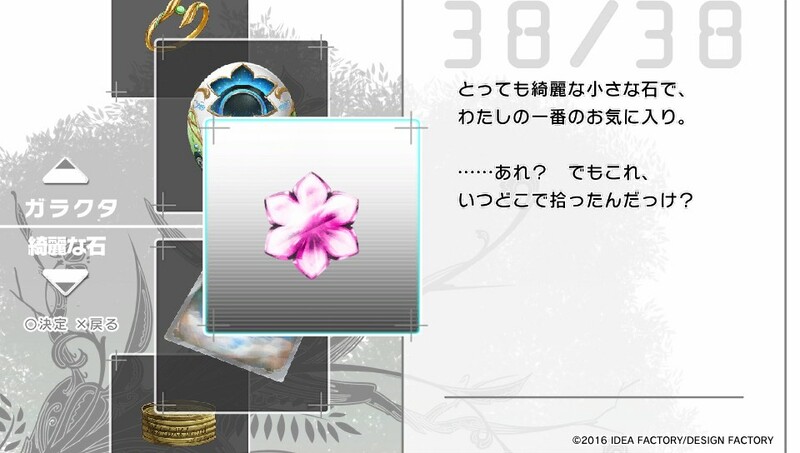 There is a FD in the works, and looking at the content – it is actually what I wanted to see more of in the original game itself haha. Oh Otomate. Thanks for taking the time to write out your thoughts. I’ve mostly heard complaints about this title, so seeing someone found it a positive experience is nice. Thanks for the comment! 😀 Yeah I did have my gripes with this title. But I like to focus on the positive aspects as much as possible so that I can at least enjoy as much as possible haha. Oh my. I hope that you still play enough good games to balance things out though, haha.